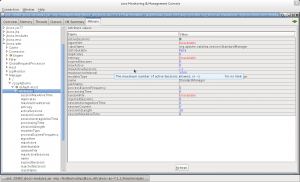 In our some of the previous demos how to effeciently use the JBoss Messaging feature which is implemented over Best Messagng System HornetQ. We created JMS Queue and topics using CLI and using the Admin Console previously. Here in this demo we will see how to create a JMS Queue/Topic using *-jms.xml file and how to deploy it as part of our simple Application like .war file. Although it is not recommended to use the application specific JMS Queue / Topic deployment because of it’s less managability. We should not use it for production purpose because it will not be possible to monitor it using the console or to manage it. But as a reference and a possibility we are going to discuss application level JMS Queue/Topic deployment as part of this article. Point-1) How to deploy a JMS Queue/Topic via *-jms.xml file placed inside our “WEB-INF” directory. Point-2) How to place our MDBs inside the WAR file and deploy it as part of our Web Application (WAR). Point-3) How to write a simple Standalone program in order to send some JMS Messages to the JMS Queue. Step-2). Create a directory with the name “src” somewhere in your file system like “/home/userone/JMS_Demo/”. Inside the “src” directory we are going to place our all source code and xml files for development. // **  following userName & Password and the Rolename="guest"
Step-11). Now you will able to access your application. “http://localhost:8080/ApplicationLevelJMSDemo/index.jsp” then you will be able to send some mesages from this page. 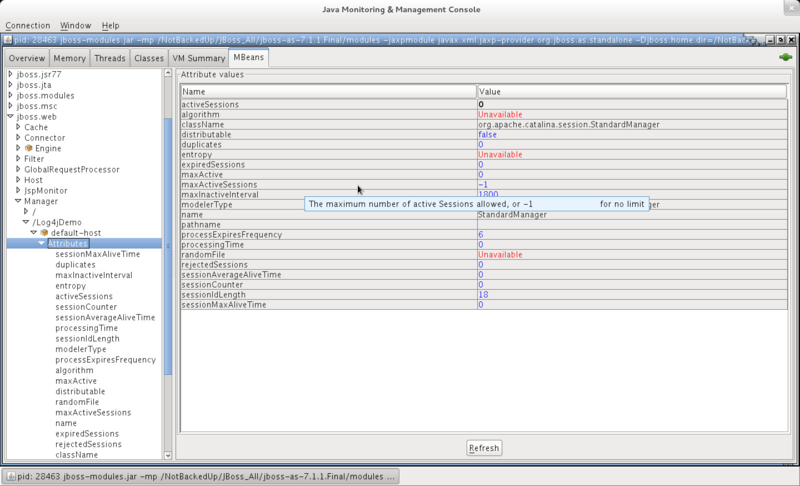 Sending JMS Messages using Standalone Client. [javac] Note: /home/userone/JMS_Demo/src/StandaloneQueueSend.java uses unchecked or unsafe operations. Almost a month back we had written an article Steps to Create A Remote Queue in WebSphere MQ 7 in which we had given the steps to configure a remote queue in WebSphere MQ and in the article How to configure EJB3 MDBs on JBoss AS 5.1 for remote IBM Websphere MQ 7? which showed the steps to connect with WebSphere MQ using AS 5.1. However in this article we would be doing the same but using JBoss AS 7.1.1 final which is the latest version of JBoss AS 7. We would be sharing the configuration from JBoss AS 7.1.1 final side which would help everyone to consume messages from Websphere MQ 7 which is residing on a remote box. We will also see how can one send messages (i.e. using a JAVA standalone code) to a remote queue on Box-1 having Websphere MQ 7 and those messages can be received by the consumer (i.e. using EJB3 MDB deployed on JBoss) from Box-2 which is a very basic scenario in most of the people. The main concept for this is that we would be sending messages to the remote queue of Websphere MQ 7 on box-1 and on box-2 we would be creating a resource adapter which would be using wmq.jmsra.rar to communicate with Websphere MQ having the queue on box-1. Using the same resource adapter and Websphere MQ’s hostName, port, queueManager, destination and transportType in the MDB we would be able to consume message from box-2 easily. Create a Directory somewhere in your file system like: “/urs/JBoss/Queue” to write the QueueSend.java and as we have an MDB we would not need a QueueReceive.java programs. Once everything is up and running properly you just have to send around few messages in “Prompt-1” and you would notice that those messages would be shown in shell on which the standalone-full is running which is on Box-2. Hence when you are sending a messages to the Websphere MQ 7 queue which is on Box-1 the same messages are been consumed by the MDB which is been deployed on standalone-full shell is running on Box-2.